12" Resin Chair - Blue, Case Pack of 10. 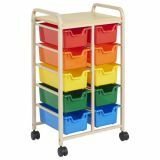 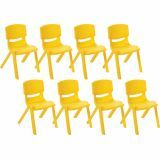 Chairs are easy to clean and sanitize, and feature a one-piece design that requires no hardware or tightening—a classroom favorite! 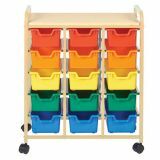 Made from fade-resistant polypropylene that won't chip or peel, with rounded edges for safety. 12" Resin Chair - Grassy Green, Case Pack of 10. 12" Resin Chair - Orange, Case Pack of 10. 12" Resin Chair - Red, Case Pack of 10. 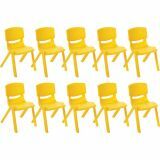 12" Resin Chair - Yellow, Case Pack of 10. 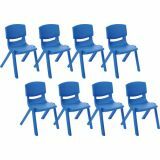 14" Resin Chair - Blue, Case Pack of 8. 14" Resin Chair - Grassy Green, Case Pack of 8. 14" Resin Chair - Orange, Case Pack of 8. 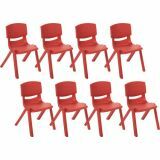 14" Resin Chair - Red, Case Pack of 8.